The Belgian Grand Prix returned to the Formula 1 calendar after being taken off the year previous, and the 8.7 mile Spa circuit had been slightly modified. The pits had been rebuilt, the pit straight had been widened and straightened and the entire track had been resurfaced. The race distance had been shortened from 36 to 24 laps. The race was won by British driver Tony Brooks in a Vanwall. It was Brooks first solo Grand Prix victory after his car won the 1957 British GP in a shared drive with Stirling Moss. Brooks finished 20 seconds ahead of Mike Hawthorn driving a Ferrari 246 F1. Brooks' Vanwall team mate Stuart Lewis-Evans finished third in a career-best finish, the first of just two podium finishes to his short Grand Prix career. The race also marked the first World Championship race start (and finish) by a woman, Maria Teresa de Filippis driving her privately entered Maserati 250F. She finished tenth and last, two laps behind Brooks' Vanwall. As an aside, on the last lap, Brooks came out of La Source to end the race, and his gearbox seized as he crossed the line. When Hawthorn was coming out of the same corner to end his race in second, his engine failed as he was coming to the finish line. Lewis-Evans's suspension collapsed on the way into La Source, and he crawled to the line in third. Also, in ’58, a constructor was only awarded points for its highest-placed car and at season’s close, only the best six results counted. 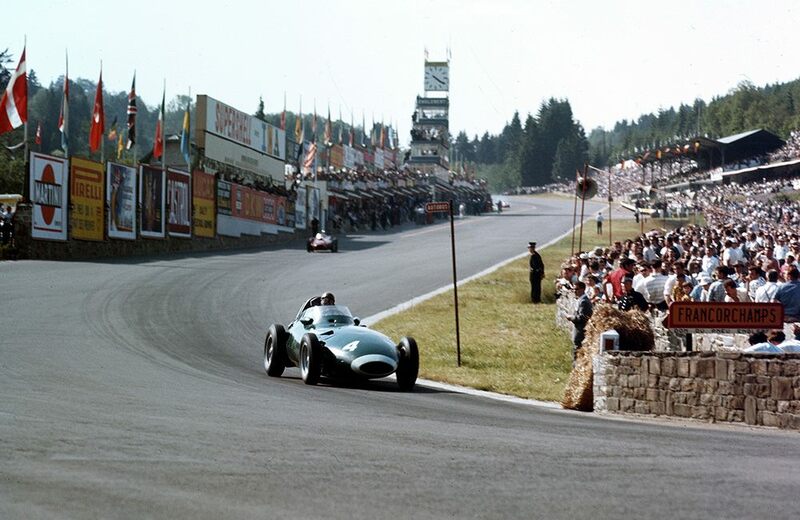 Vanwall scored six victories throughout the year thanks to Brooks and Stirling Moss while second-placed Ferrari only managed two.